Facebook founder Mark Zuckerberg announced today that big changes are coming to Facebook’s search. You’ll soon be able to run advanced, detailed searches on Facebook for photos, people, interests, dates, and more…or any combination of them. Some examples of things you’ll be able to look up: “friends who like Game of Thrones,” “music liked by people who like President Obama,” “photos of friends who’ve been to New York City,” “restaurants in SF, California, liked by Culinary Institute of America graduates,” or “photos of Berlin, Germany from 1989…or some really invasive things, like “married people who like prostitutes.” “It’s a whole new, much expanded set of detailed results than what’s currently on Facebook, which is limited to bringing up people, companies, or pages. Graph Search looks like a more person-focused search engine to rival Google. If you’d come to Google to look for things, you’d come to Facebook to search for people: photos of people, stuff people like, where people have worked, etc. Facebook’s even partnering with Google’s competitor Bing to supplement their Graph Search: if there aren’t results on Facebook, they’ll feature results from Bing. And given that Facebook’s photo collection is more than 10,000 times the size of the Library of Congress’s, a Facebook image search could put a serious dent in Google’s image search dominance. But Graph Search won’t just impact other search engines: it could be the next big recruiting tool, local business finder, music discovery engine, or dating site. 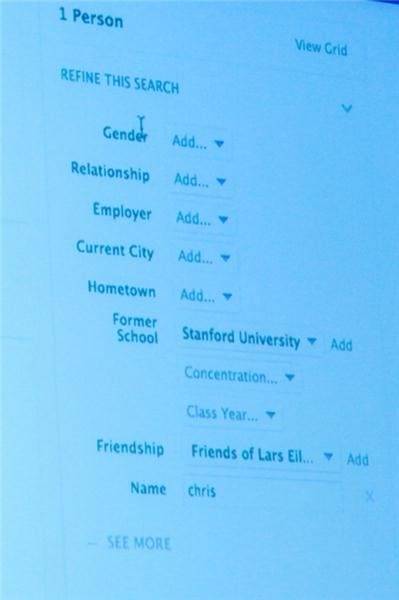 Facebook employees demonstrated how to use Graph Search to find potential hires by searching for people with certain job titles who have worked at certain companies or know specific people, which could be a big hit to LinkedIn. Searching for “dentists liked by my friends” and getting Facebook endorsements may be more valuable than hearing from strangers on Yelp. And sifting through Facebook’s members for people who like long walks on the beach and romantic comedies and live within 50 miles of you means you could skip Match.com or OkCupid.com and do your online dating on Facebook. Facebook reps repeatedly mentioned privacy in their presentation. Although you don’t have to be friends with people to return their content in your searches, results are controlled by Facebook’s privacy settings. If you have permission to see it, it’s fair game for Graph Search results. Graph Search isn’t exposing any new Facebook content, but it’s making existing content more accessible. That means it’s more important than ever to lock down your Facebook privacy settings before these new search changes happen. Zuckerberg also stated that Google wasn’t willing to do what Facebook wanted in terms of privacy concerns, which was a factor leading to the Bing partnership. Think of how the web was before search engines: a photo may have existed online, but it might as well have been invisible if it didn’t come up in Google. Google has become the gateway through which Internet users find and access content online. With Graph Search, the same could happen for Facebook: those old photos that were buried in the recesses of your profile became more accessible with Timeline, and they’ll be at the world’s fingertips with a simple search. Just because it was technically public on Facebook before doesn’t mean it’s not a blow to individual privacy when it becomes much easier to find. 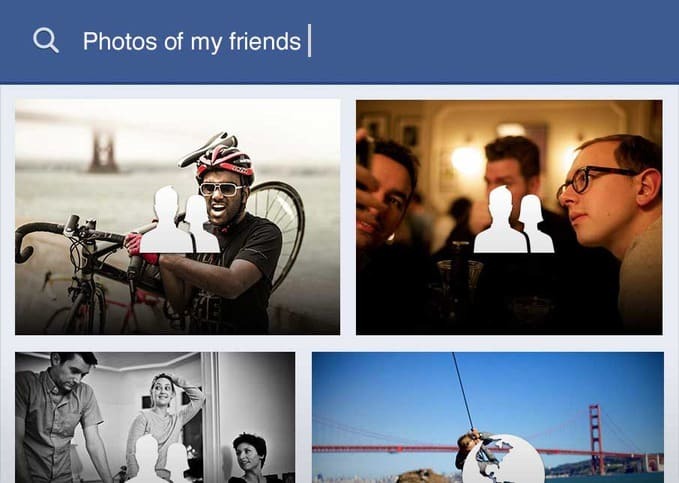 Graph Search is currently in beta, and Facebook says it’s a big project that will take years to mature. For now, you can check out the early version at facebook.com/about/graphsearch.